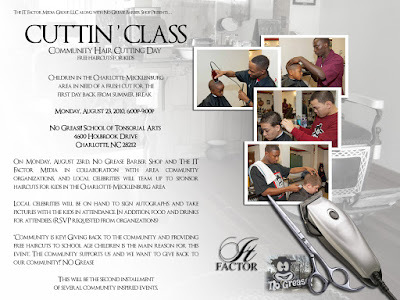 No Grease Barber Shop and The It Factor Media Group are presenting Cuttin' Class: Community Hair Cutting Day today (August 23), 6-9 p.m. at No Grease School of Tonsorial Arts (4600 Holbrook Drive in east Charlotte). Parents and community groups are encouraged to bring their kids in to get free haircuts by professional barbers. There will also be a few celebrities on hand to sign autographs, including Derrick Brown and Tyrus Thomas from the Charlotte Bobcats. Free food and drinks will also be served. This is one of several ways No Grease gives back to the community throughout the year. 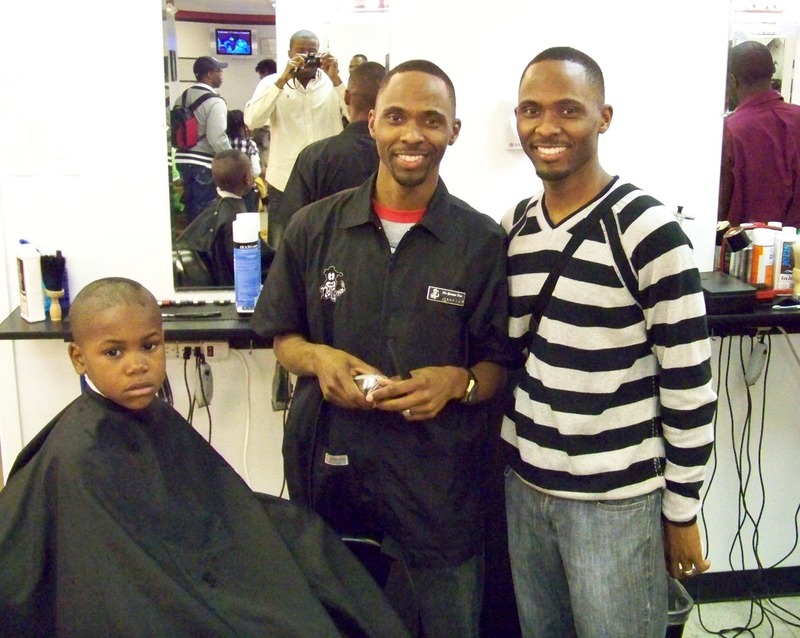 Founded by twin brothers Damian and Jermaine Johnson, they have three locations and a barber college in Charlotte. I attended the Community Hair Cutting Day they held in January and the first thing that came to mind was how great an idea this is, especially at a time when some parents are struggling during this recession. The second thing I thought was that more people should be aware of the next time they hold this because they had the barber shop fully staffed and ready to give as many free haircuts as possible. So spread the word!